PALMDALE – A 21-year-old man profiled twice on Palmdale Sheriff Station’s Most Wanted list was captured Wednesday afternoon after leading deputies on a car and foot chase through a west Palmdale neighborhood, authorities said. Anthony Mitchell was found hiding underneath an empty Jacuzzi in a backyard near Summerwind Elementary School, and he was arrested without incident around 2:55 p.m., according to Sgt. Kyle Bistline of the Palmdale Sheriff’s Station. Mitchell was wanted on two no bail warrants for spousal assault and for drug-related charges, Bistline said. 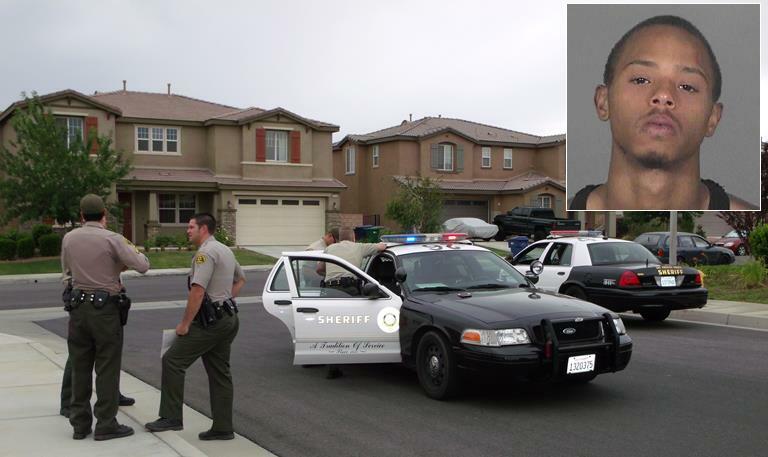 He had been profiled on Palmdale Sheriff Station’s Most Wanted list in both May and June of this year; but whenever deputies got close to Mitchell, he managed to escape, Bistline said. “He ran from the deputies on a couple of different occasions,” Bistline said. 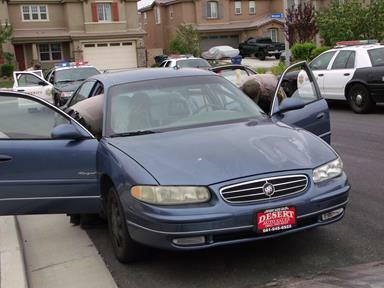 Around 2:30 p.m. Wednesday, deputies spotted Mitchell driving a blue Buick at the intersection of 10th Street West and Rancho Vista Boulevard. “The deputies tried to pull him over and he took off in the car, and then he parked the car along the side of the road and bailed out and ran,” Bistline said. Mitchell ran through the property of Summerwind Elementary School, hopped the wall and then tried to escape by running through backyards in a nearby neighborhood, Bistline said. Deputies found Mitchell after they contained the neighborhood just west of Summerwind Elementary, according to Bistline. A passenger in Mitchell’s vehicle was questioned and then released. Mitchell was booked at the Palmdale Station on $75,000 bail. He is due in court Friday to face charges. 15 comments for "‘Most Wanted’ suspect captured after car, foot chase"
Whenever I see one these “cocky” mugshots I can’t help musing to myself. Wouldn’t it be funny if just before the instant the picture was snapped a really big handed deputy slapped him silly and removed that smirk from his face. I know, I know, they can’t do that. But still, its a nice daydream. Opening paragraph reads: A 21-year-old man profiled twice on Palmdale Sheriff Station’s Most Wanted list was captured Wednesday afternoon…..
Be careful deputies! Certain segments of our communities will accuse you of racial profiling. This type of police work might result in another DOJ findings report and big fine. When is the next AV NAACP, TCAL and Merit Commission press conference decrying this biased conduct by our Sheriff’s? one less piece of worthless flesh off the streets. See… just another example of what’s wrong with our East side. Oh wait a minute… Summerwind is on the *gasp* WEST side!! :) Thanks, LASD, for getting him off the street wherever he was! Nice catch! But why did they set a bail amount on a “runner” with “no bail” warrants? Hey, I like your user name! The bail is set for the new open charge. My guess is evading. He would still have to appear on the warrants. How you know all this?Your the girl he got the spousle abuse for? Way to go LASD. Good job. Another piece of riff raff off our streets!